I just love a good corn on the cob smothered with butter and salt. But when I first ate at Tacombi in New York, a whole new sweetcorn experience opened up in front of me. A paper cup filled with buttery shaved corn kernels, topped off with sour cream, smoky paprika powder, coriander and a lime wedge was placed in front of me. This transported me right to sweetcorn heaven. Sweet, smoky, sour, spicy – it pulls your tastebuds in every possible direction and is bound to make you very happy. I’ve since recreated these sweetcorn cups on days where I just craved a comforting bowl of corn, with the certain ‘je-ne-sais-quoi’. Usually, I eat it with a slice of crispy bread on the side. 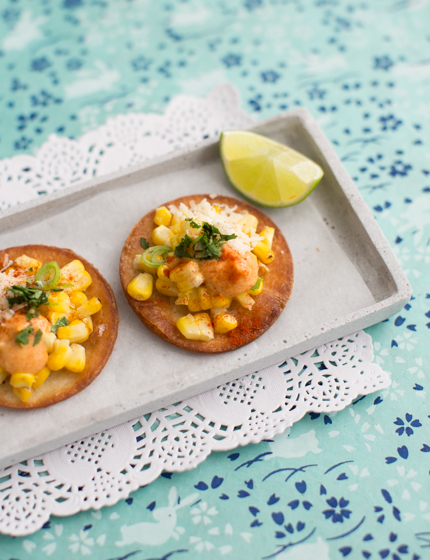 Then, the other day it occured to me that I could place the sweetcorn filling on top of a crispy taco – and so these awesome sweetcorn tostadas were born. I’m using mayonnaise for my tostadas, but you could easily use sour cream instead if you prefer. Served with a strong margarita or a glass of chilled white wine, these tostadas are going to set your party on fire! Put the corn on the cob into a saucepan with boiling, unsalted water. Cover and cook for 8 minutes. 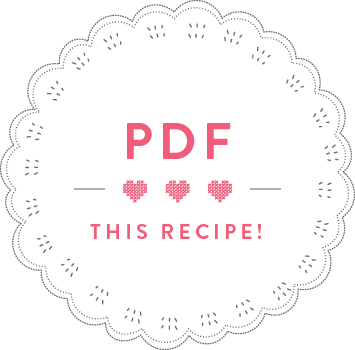 Meanwhile, cut out small tostada rounds by pushing down a 8cm serving ring or glass onto each tortilla – you should get three tostadas per tortilla. Cover the base of a frying pan with sunflower oil and heat the oil until a piece of leftover tortilla dropped into it starts sizzling right away. Fry the tostada rounds in batches for approximately 1 minute each, until they’re golden. Drain on kitchen paper and set aside. After 8 minutes, drain the corn on the cob. Drain the sunflower oil from the frying pan, leaving a thin film of oil for frying the cooked corn on the cob. Put back on the heat and fry the corn on the cob on all sides until they have some lightly charred patches and look like they’ve just come from a barbecue. Leave to cool for 5 minutes. Meanwhile, trim the spring onions and cut into thin slices. In a small bowl, mix the mayonnaise with the smoky paprika powder and set aside. Place a soup bowl upside into a large mixing bowl, so that it sits like a cupola inside the bowl. Place one corn on the cob onto the platform of the soup bowl and cut down alongside the corn on the cob, so that the corn kernels fall down into the bowl. Alternatively, place the corn on the cob on a chopping board and cut the kernels off on there – this might be messier than using the bowl trick. Slice one lime in half and squeeze half the juice into the bowl with the sweetcorn. Add the spring onion slices and season with salt and pepper to taste. 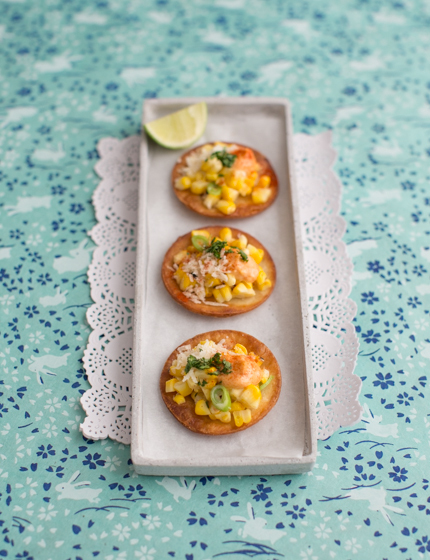 Lay out the crisp tostadas on a serving plate and top each tostada with a portion of sweetcorn. Then, top with a dollop of smoky mayonnaise, and sprinkle with parmesan and coriander. Cut the remaining lime into wedges and serve with the tostadas. TIP: The tostadas taste just as good with cold sweetcorn, so you could prepare everything in advance and assemble the tostadas when your guests arrive.